Although there has been a steady decline in the demand for new cars across Europe, the premium segment of the market has increased since the turn of the year. Audi's record sales in 2012 are testament to the increase that premium brands like Mercedes, Audi and BMW are experiencing. Globally, a lot of the rise can be attributed to a surge in demand for luxury vehicles throughout Asia. Audi and BMW count China as their biggest marketplace. Their first quarter results were underpinned by this market. Today, America is the second biggest market for these luxury brands. But Audi’s share of the marketplace in America was far lower than its rivals. So although Audi are experiencing records sales, they are not making the progress they would like to in the US market. Audi and their two main rivals account for around 15 per cent of the UK market. Mercedes and Audi both saw growth in this market during the opening 3 months of the year. Overall UK car sales were up 1 per cent for the first quarter of 2012, but experts from the Society of Motor Manufacturers and Traders (SMMT) believe that the remainder of 2012 will see the UK market sustain the results of the first quarter, rather than continue to grow. 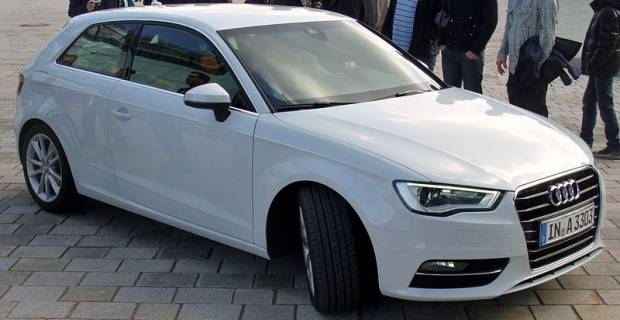 Audi is launching a new A3 this year. BMW has already launched the new 3 Series. Mercedes will follow suit with a new A-Class in September, so there’s plenty of opportunity for all three manufacturers to continue this upward trend.